May | 2015 | Cooking is Fun … Really!! 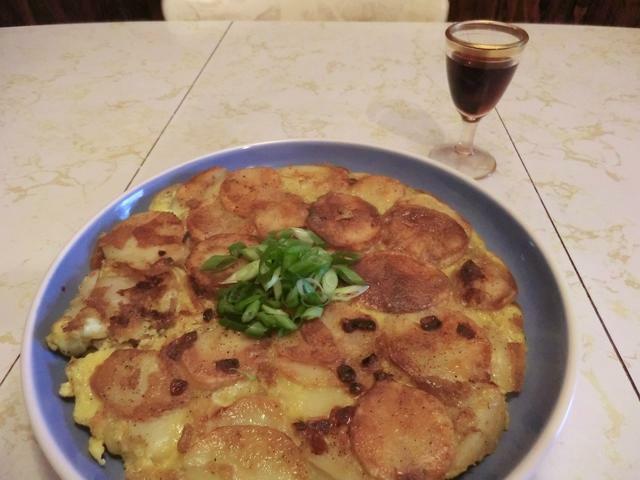 Shortly after I started my LJ, I decided that it would be, on the whole, mainly a glorified food diary, though I would sometimes share details of my hobbies, family and work. 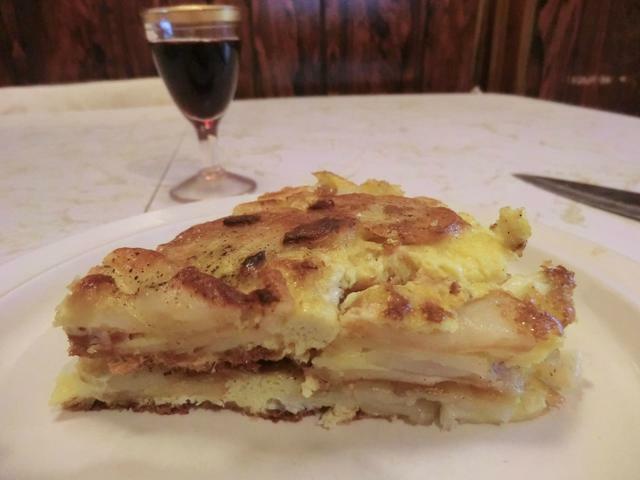 In the last couple of years, I’ve posted some interesting and, occasionally, innovative, recipes inspired by food bloggers, in particular, and the internet, in general. As work has become busier and my energy levels flagged, posting anything new has become more and more of a challenge. Therefore, I’ve posted items which were tagged ‘picspam’ more often than ever before. Beside containing a few ‘hopefully’ pretty food pictures, there wasn’t really anything recipe-worthy in them. And, more meals are featuring reworkings of leftovers from the freezer. This post is one such and was made much easier with the addition of this newcomer to my kitchen. 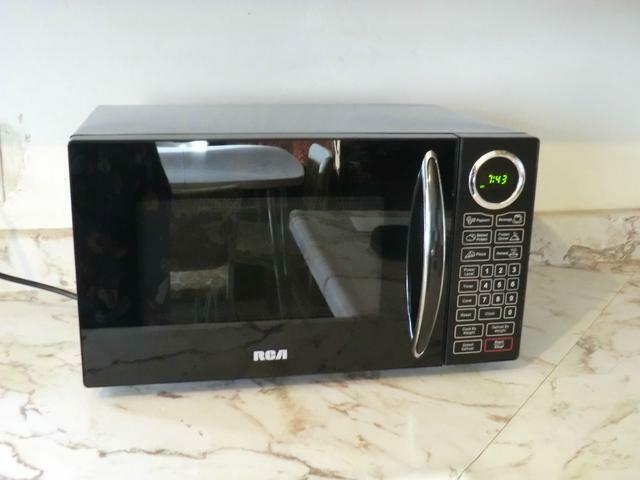 I don’t know WHAT I’d do without a microwave. When the door button broke on my last machine (trapping my plate and part of that evening’s supper inside) I resorted to calling over a neighbour with a handy claw hammer to pry the door open. And bought this replacement the next day. Even though today’s the 3rd day in a row of sweating through a miserable summer spring cold with a sore throat, hacking cough, runny nose and fever, I still felt I had to do some cooking for the upcoming week. Pork is the most popular meat in the world by far, according to USDA world consumption statistics. In Canada, pork outperforms chicken and today’s menu featured it in 3 forms. 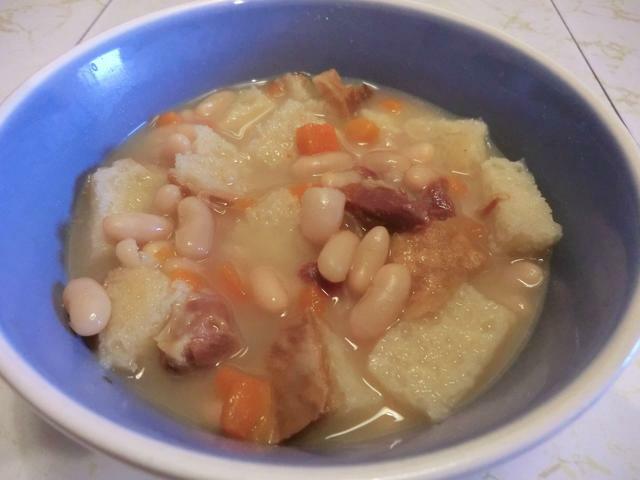 A smoked picnic shoulder ham (bone and meat) and a prosciutto end went into a pot of soup made with cannellini beans. Chunks of home made bread added substance to an already hearty soup. 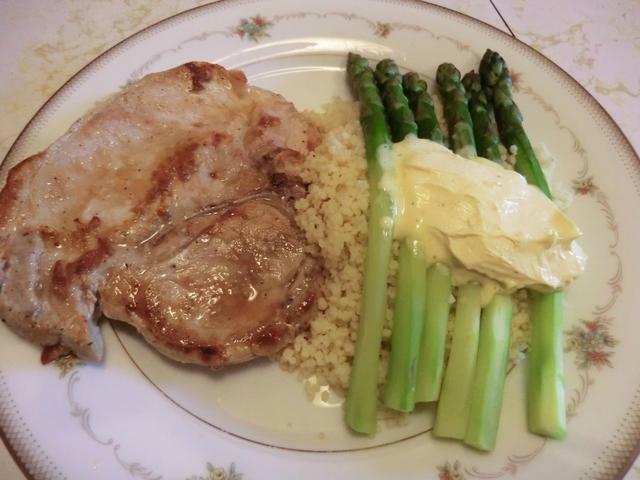 Pork chops were the centerpiece of the rest of the meal which included couscous, asparagus and hollandaise. 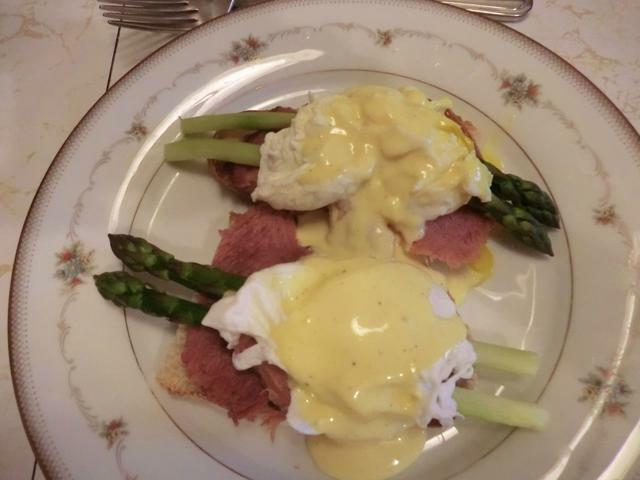 Yesterday, I treated myself to a rustic version of the classic Eggs Benedict featuring a slice of no-knead bread, ham sliced off the bone, asparagus, poached eggs and reheated hollandaise sauce. 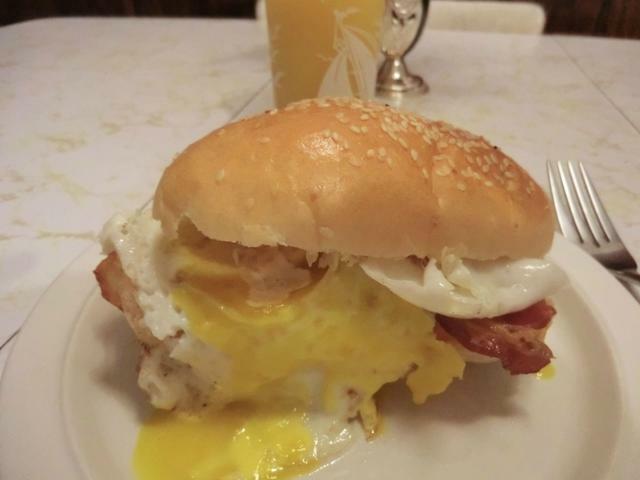 You DON’T have to make it to order. Which is a time saver when you’re not feeling well. And here’s something sweet to offset all that pork. Pulled out of the freezer and thawed quickly in the microwave. 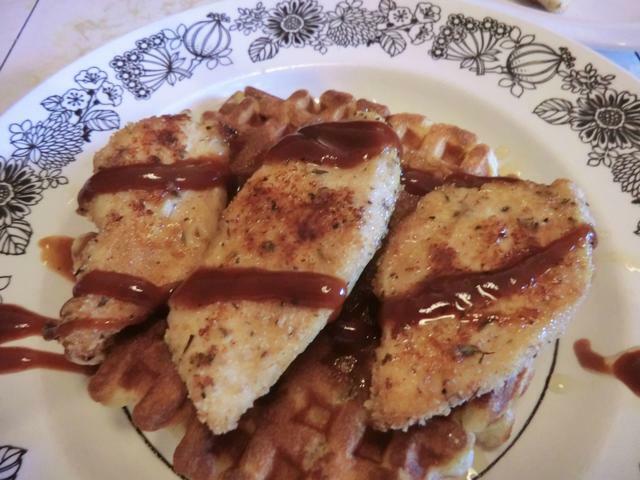 ETA: More chicken and waffle ideas here. 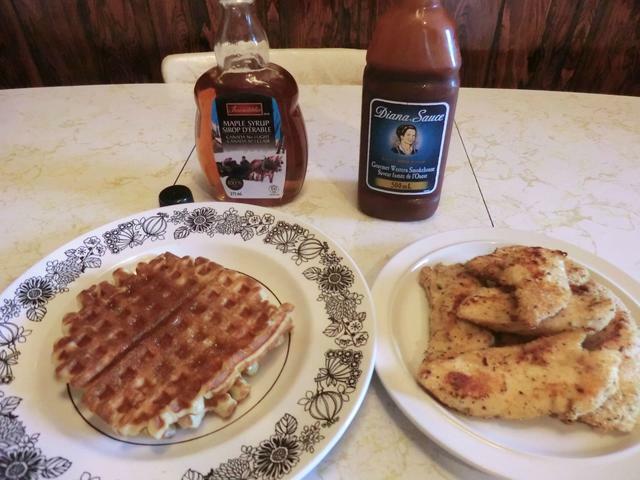 This was tonight’s supper … chicken and waffles. The classic chicken and waffles are made with fried chicken. But you know me and frying. It’s not going to happen unless the planets are properly aligned. 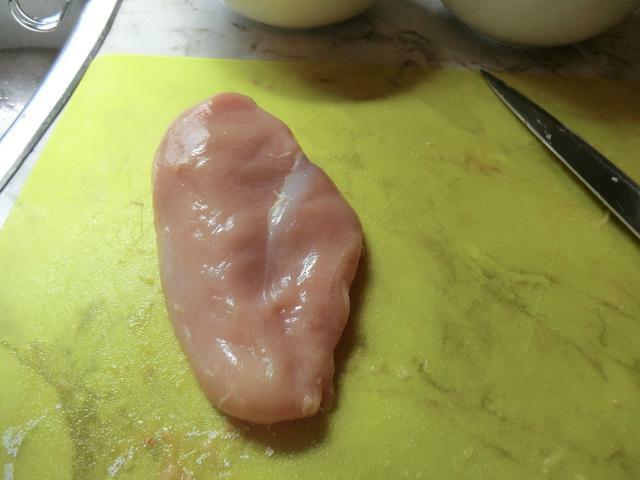 So, I defrosted a giant chicken breast, skinned and took it off the bone and cut it into 7 pieces including the tenderloin (far right). 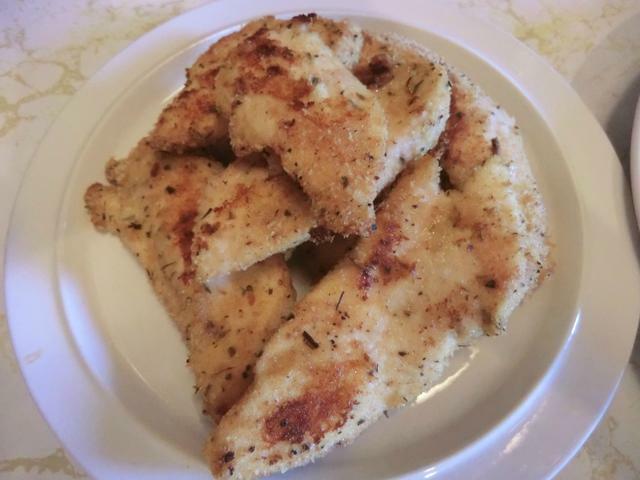 I coated them in Italian herb seasoned bread crumbs. And then, I baked them in a 425 deg Fahrenheit oven for 30 minutes. I paired a few of the smaller chicken tenders with a couple of the waffles I made a couple of weeks ago and froze away for another day. Two of the larger ones would have been plenty. Real Canadian maple syrup and some bbq sauce … supper in less than an hour on a week day. It would have been faster if I’d had the tenders already cooked. 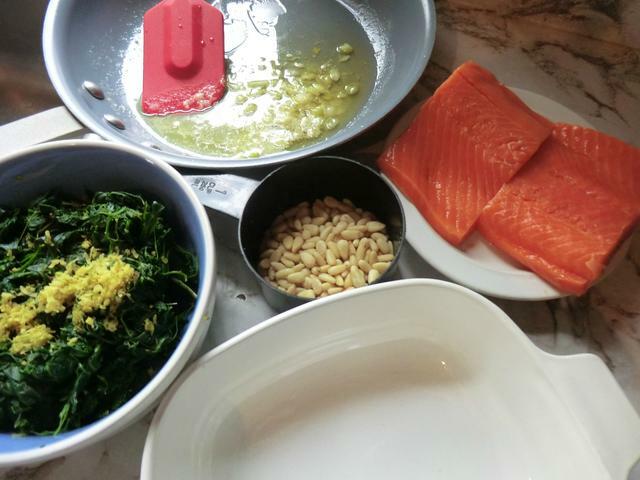 The 2 portions of trout from the large fillet I bought were cooked using the classic Florentine (florentine = with spinach) recipe below. I served it with Mexican style rice for a complete and very filling meal. And it looked pretty on the plate, too. Preheat the oven to 425 deg Fahrenheit (220 deg C). 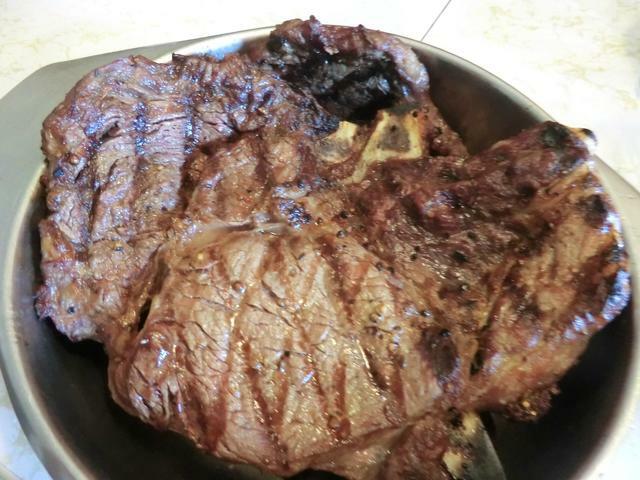 In a small skillet, cook butter over medium heat until it just starts to brown, about 2 minutes. Stir in garlic and shallot; cook just until tender, about 1 minute. Stir in lemon juice. Pour half into a 13- x 9-inch (3 L) glass baking dish. If using fresh spinach: Rinse and shake off water. Heat large skillet over medium-high heat; cook spinach, in batches and stirring often, just until wilted. Transfer to colander; let cool enough to handle. Continue from here if using frozen spinach: Press out the liquid then coarsely chop the spinach. Toss with lemon zest. Arrange over butter mixture. 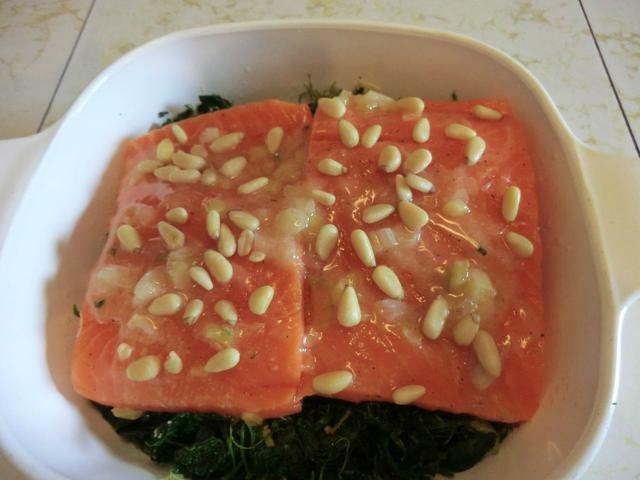 Arrange the trout over the spinach in the baking dish. Season with salt and pepper. Drizzle with the remaining butter mixture. 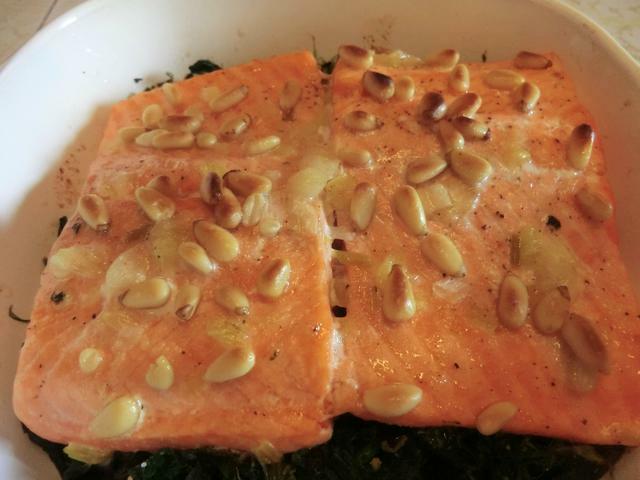 Sprinkle the pine nuts over the top. 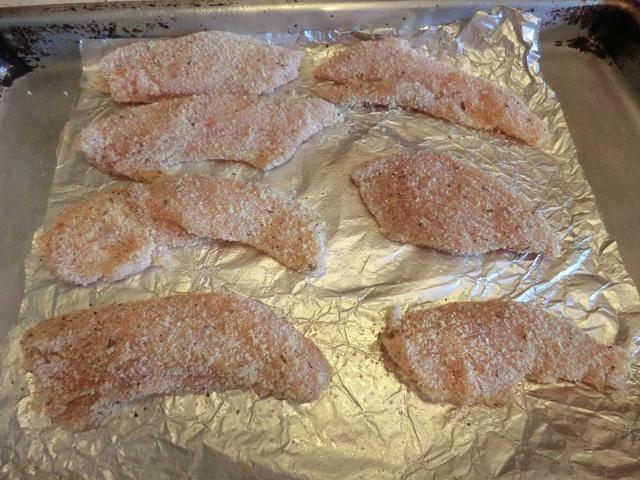 Roast in preheated oven until fish flakes easily when tested with fork, about 8 minutes. 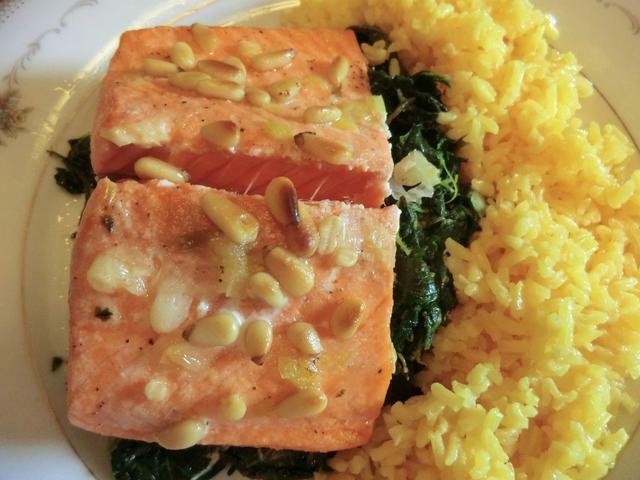 Serve with rice, couscous or whatever starch you prefer. 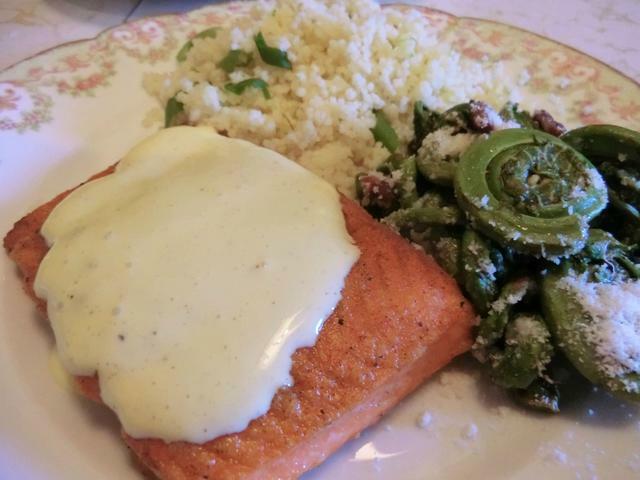 I bought a lovely fillet of steelhead trout a while ago and waited to cook it until I was inspired. Unfortunately, inspiration is an elusive thing so when, a few days ago, I saw that fresh fiddleheads were available at a local grocery store I thought I’d pair the two … saving my creativity for another day. 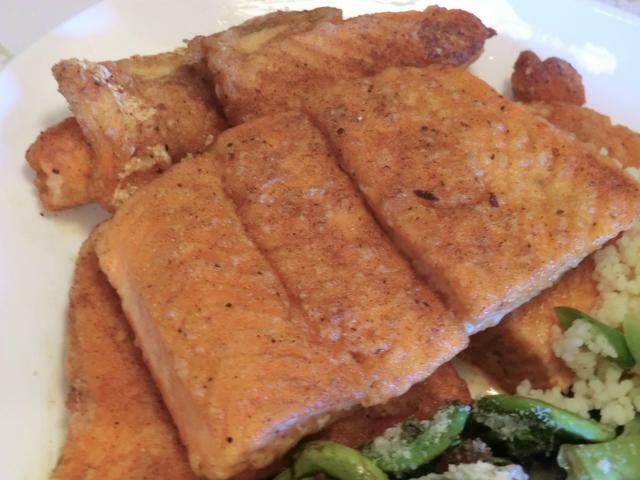 But who wants to eat 4 portions of trout all cooked the same way? 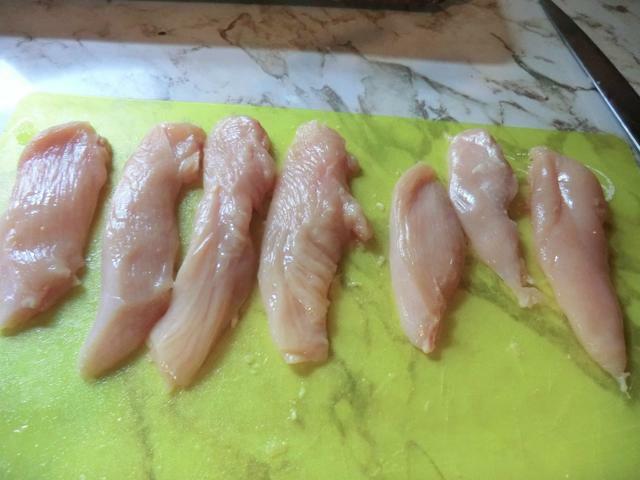 So, I skinned the fillet and cut it into 5 portions, each roughly 6 oz in size. The 2 prettiest were saved for tomorrow’s meal while I coated the rest in seasoned flour (salt, pepper and paprika) and pan fried them in vegetable oil over medium heat for ~ 2 1/2 minutes per side. 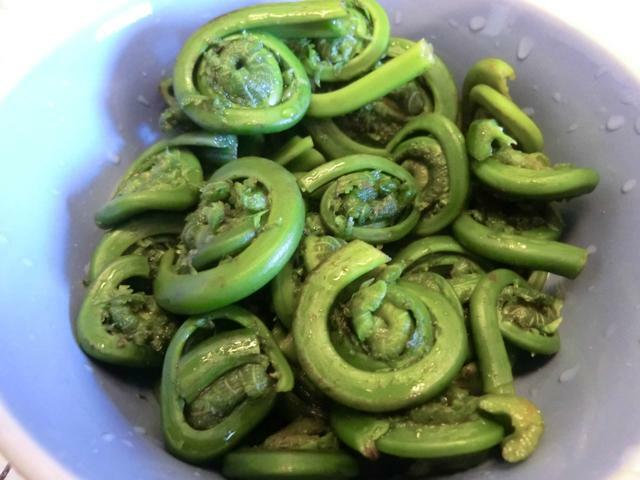 The fiddleheads were boiled until they were tender (10-12 min) in salted water, then sauteed in vegetable oil in which prosciutto strips had been crisped, along with the white portion of a couple of stalks of green onion. A sprinkling of Romano cheese (you can use Parmesan too) added an additional salty note to the fiddleheads. It wasn’t really needed but it was good. The couscous was cooked in chicken broth and then lime zest and sliced green onion tops were stirred into the warm couscous. I’ve made this blender hollandaise before. The only change I made was to replace the lemon juice and white wine vinegar with 2 tbsp of lime juice. 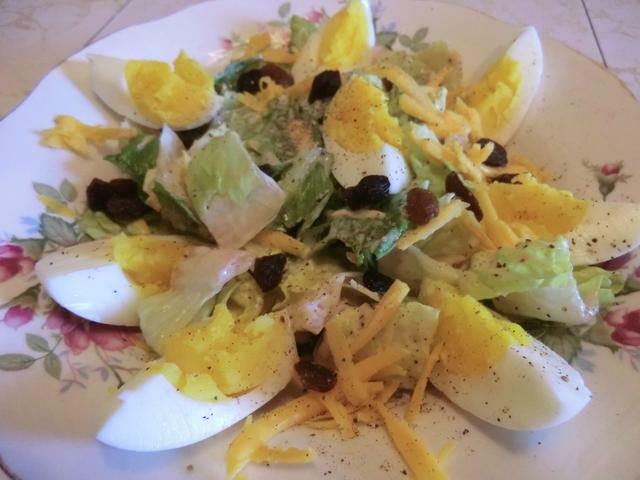 All I had was red wine vinegar in my pantry … plus I didn’t want to waste the lime by only using the zest. There’s nothing like the flavour of these slightly charred hunks of chicken breast from the barbecue. And making them ourselves is something we can all do, with a little effort. 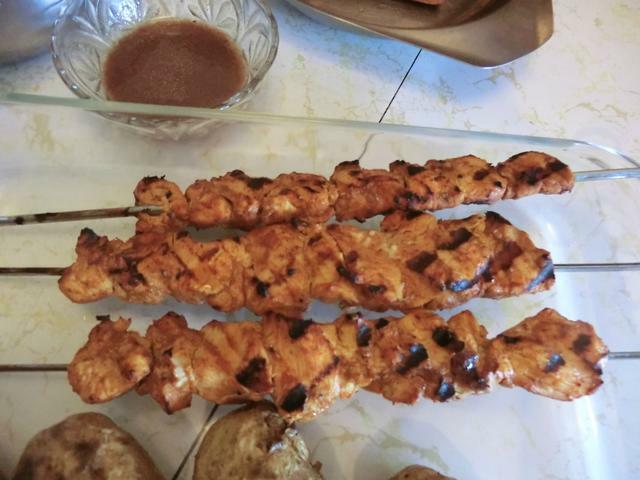 I’ve often seen skewers of seasoned chicken breast threaded with peppers and onions in the display cases of delis, butcher shops and grocery store meat counters. Usually at some outrageous price. Anyone can make these at home for a LOT less money, especially when chicken breasts are on sale. 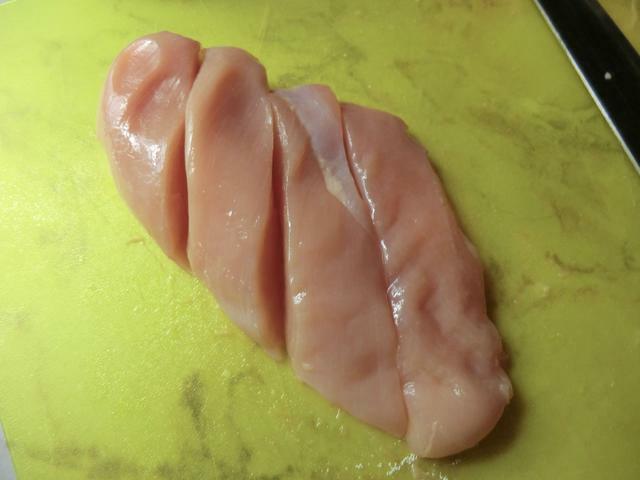 You can butterfly it, cut it into strips for chicken fingers, OR, as below, cut it into roughly 1 inch sized cubes. I like to start with diagonal cuts from the outside of the breast spacing them evenly (about 1 inch apart) to get 4 strips. Each strip is cut into 3 pieces, except for the one on the far left which is cut into 2 pieces. 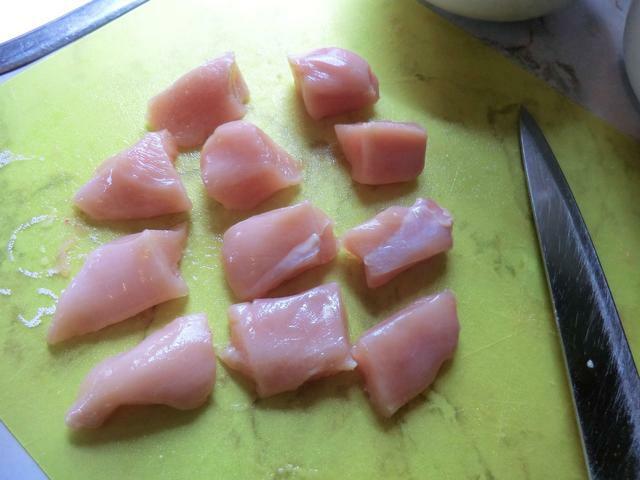 These 9 pieces, plus the 2 from the tenderloin, will give you 11 cubes per breast to marinate as desired and thread onto skewers. 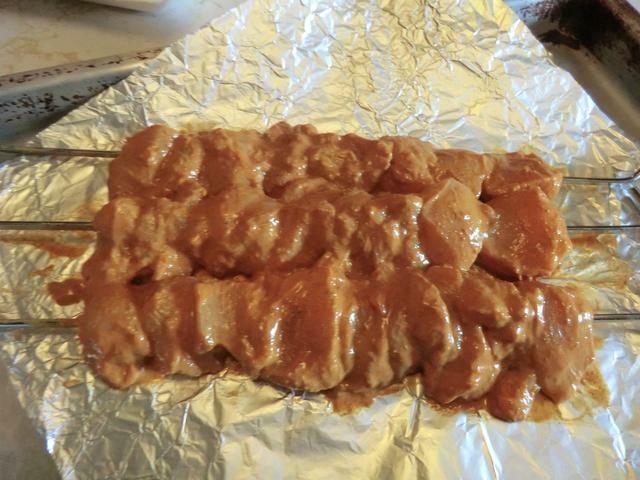 For the last bbq, I marinated the chicken in tikka masala paste (2 tbsp paste plus 2 tbsp yogurt for 2 breasts) and threaded them onto metal skewers but you can use wooden/bamboo skewers that have been soaked in warm water for about 30 minutes. 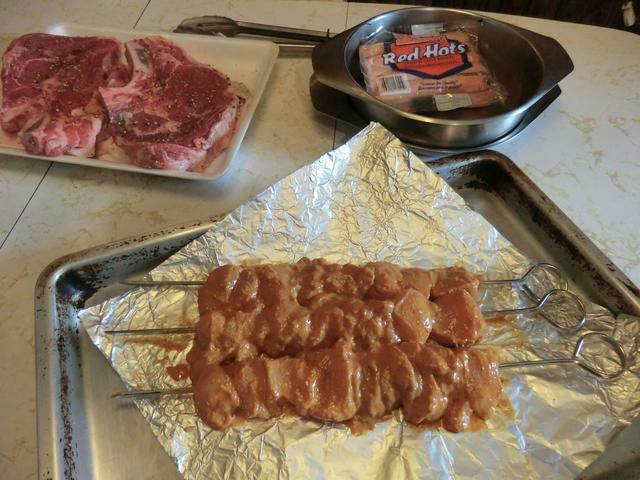 Skewers ready for the barbecue – from 2 breasts, I was able to make 3 skewers. Enough for 3 generous servings as a main course. As an appetizer, you can get twice that many portions. With onions and peppers, souvlaki style, you’ll get 4 servings as a main course to wrap in a pita bread or serve over rice. Years ago, my parents gave me a full sized propane bbq as a housewarming gift. That may not sound like a practical gift for a single person … but with some planning, you get some great tasting meals, at a good price, for very little effort, especially if you fill up the grill. 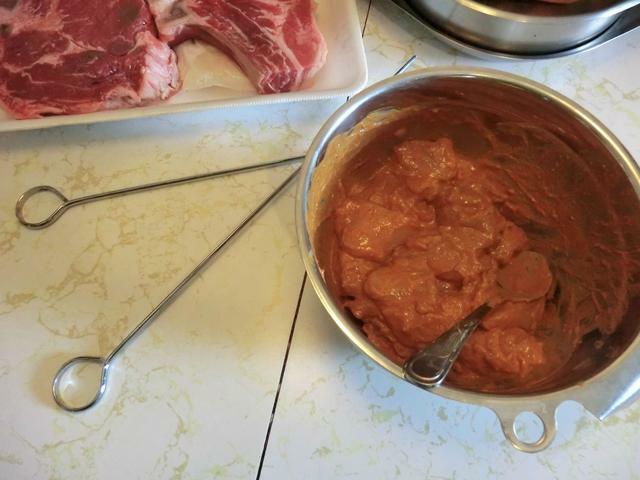 Personally, I find hot dogs bland and boring but, throw them on a grill, and you’ve got a taste treat that you can pair with chili, throw into a pot of baked beans or even serve over pasta in a marinara sauce. The star of today’s bbq was this pair of sirloin steaks. A bit pricey at $18.60 for the two, but after bbq’ing them and cutting each steak into 3 or 4 portions, the results were much more economical. Blackberry/raspberry lemonade with a splash of club soda. Cause you need something cold and refreshing while you’re standing over a hot bbq grill wielding your tongs. 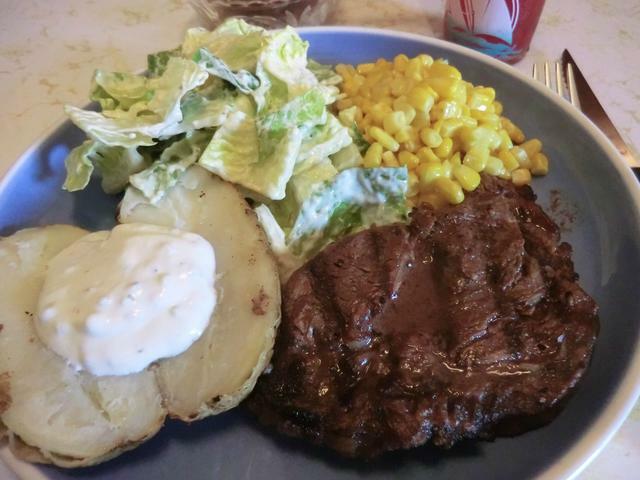 I didn’t have any sour cream for the baked potato so I spooned on some tzatziki sauce. Yummy. 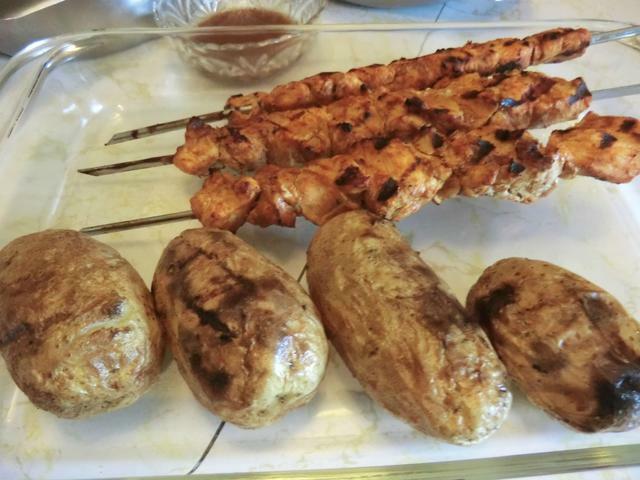 The BBQ – Sirloin steaks, package of hot dogs and 2 chicken breasts marinaded in tikka masala paste and yogurt then threaded on metal skewers. 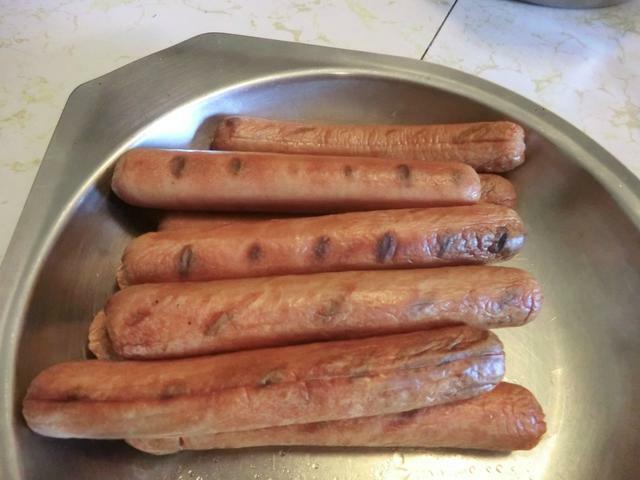 Hot Dogs – Normally, I forget these little guys and they get charred but this time, I got them JUST RIGHT. Throwing meat on the barbecue somehow seems like cheating. It’s not really cooking the way I do it. 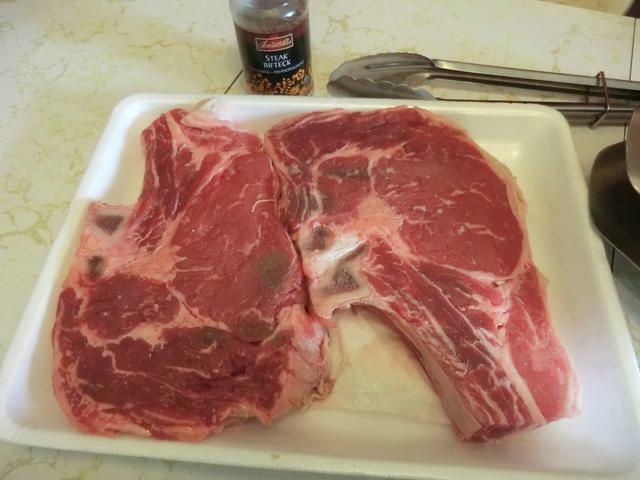 I ‘sometimes’ marinate the meat but more often I just salt and pepper it. So, I try to do a little extra for the sides or the dessert. 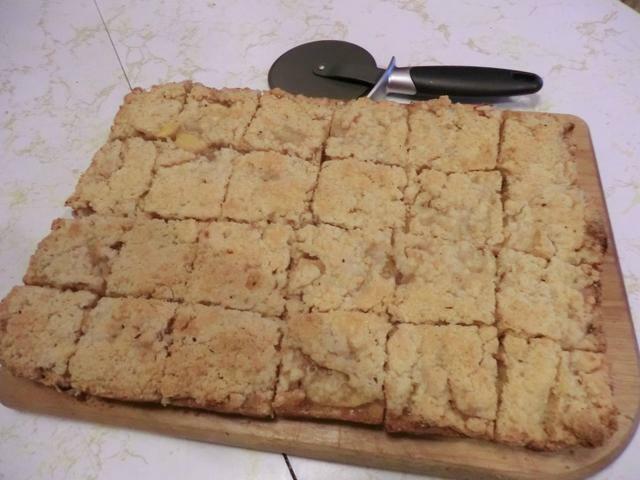 I put back the 3 packages of blueberries I bought this rainy Saturday morning and instead bagged 9 peaches so I could make a tray of peach crumble bars. 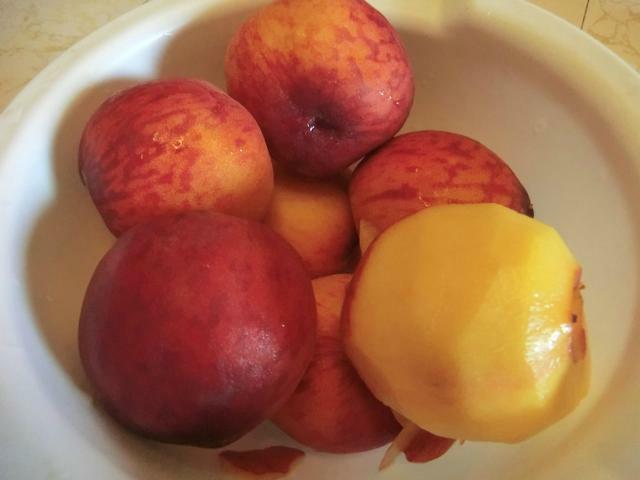 The peaches were BEAUTIFUL even if not as sweet and juicy as I would have liked. 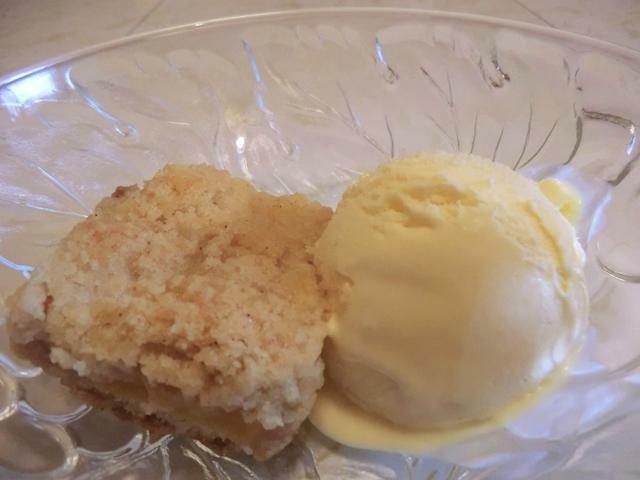 I’ve used this crumble recipe before with cherries, nectarines and, of course, peaches. 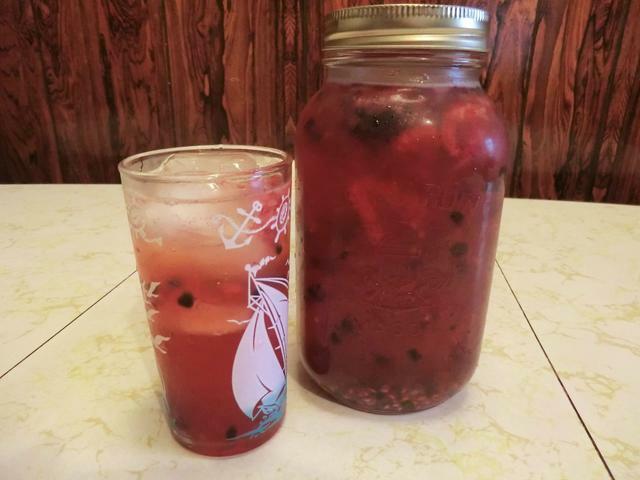 You can use berries or mangoes, if you want. This Peach Melba (raspberries and peaches) variation was delicious. 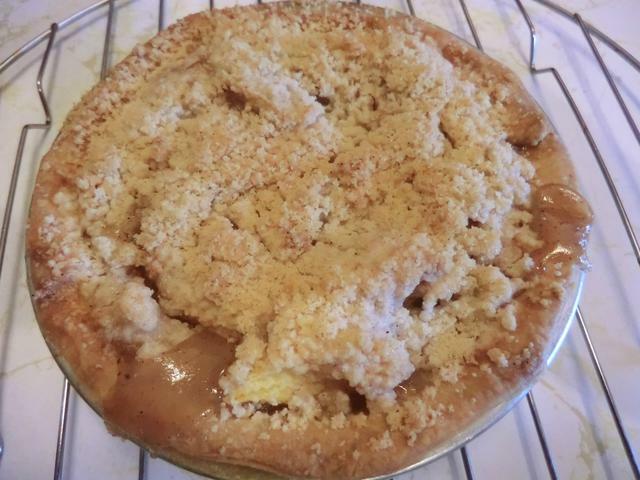 The juiciness of the fruit really makes the crumble special. That’s why I don’t think apples or pears would work as well, but, since I haven’t tried them, I may be wrong. If you try those fruit, let me know. I had some extra filling so I used it to fill a frozen mini pie shell from the pastry I made a couple of weeks ago. I stole some of the crumb topping from the bars in place of a top crust. 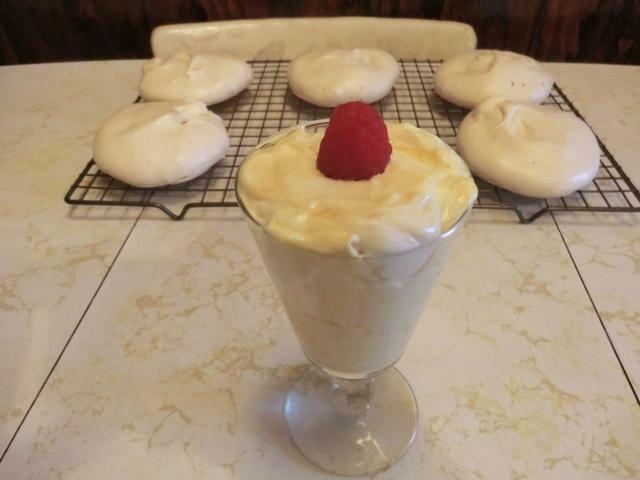 This is a great make ahead recipe with only a few last minute steps to turn a simple (and inexpensive) meringue into an elegant dessert to serve to company. 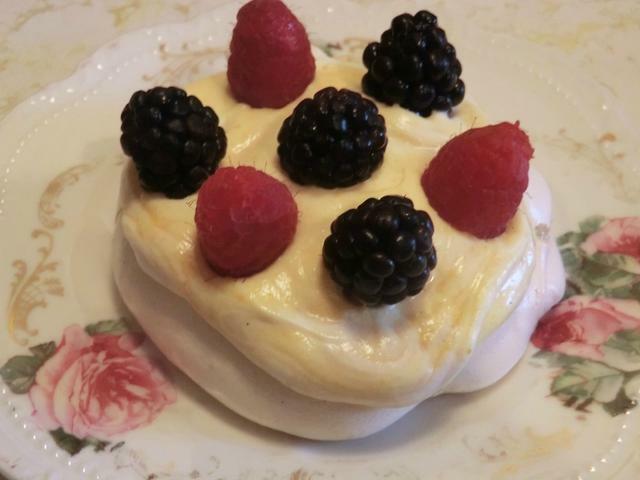 The Raspberry Eton Mess I made a while ago is another creative and delicious way of using meringues. The addition of cornstarch and vinegar to the meringue mixture really makes a difference. The resulting ‘pav’ puffs up and is glossy and crisp on the outside and creamy/chewy on the inside. The combination of whipped cream and curd (blood orange, this time) really takes this dessert to another level. I chose to make mini pavlovas rather than a single, large pavlova as I was eating by myself and the finished dessert does NOT hold. Pre-heat the oven to 350 degrees Fahrenheit and arrange a rack in the middle. Using a 9-inch round cake pan, trace a circle onto a piece of parchment paper with a pen, pencil or marker. Flip the paper over and place it on a baking sheet (the traced circle should be visible); set aside. Place the egg whites and salt in a clean, dry metal or glass bowl. Using a whisk attachment and a hand or stand beater, beat on medium speed until the whites begin to lighten in color and only small bubbles remain, about 2 minutes. Increase the speed to high and add the sugar a tablespoon at a time or pour in gradually in a stream. (If using vanilla sugar, add it to the white sugar at this point.) Whisk until firm, shiny peaks form, resembling marshmallow cream, about 3 minutes. Sift the cornstarch through a fine-mesh strainer into the meringue. 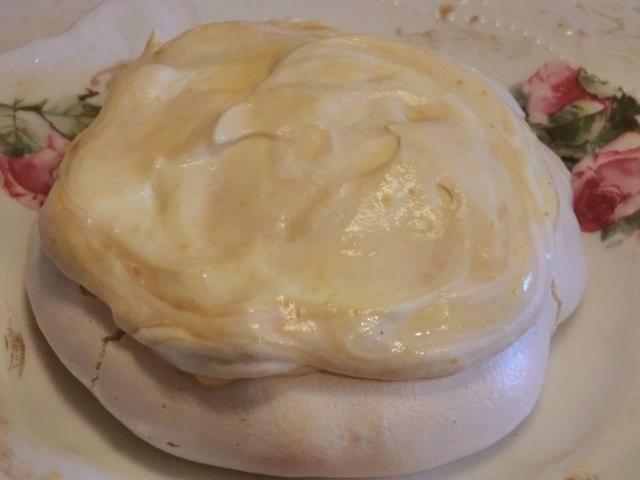 Drizzle the vinegar and vanilla extract (if using this form) over the top and fold them into the meringue with a rubber or silicone spatula until no streaks of vanilla remain, being careful not to deflate the egg whites. 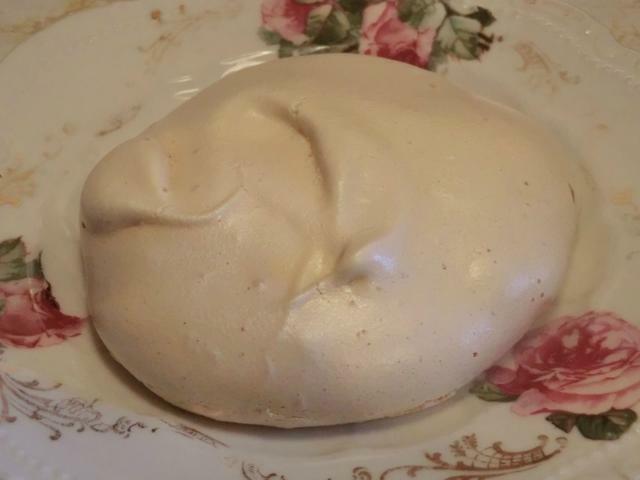 Using the spatula, pile the meringue into the center of the circle drawn on the parchment paper and smooth it to the edges of the circle to form a rough, even disk about 1 inch tall. Place the baking sheet in the oven and turn the heat down to 300 degrees Fahrenheit. 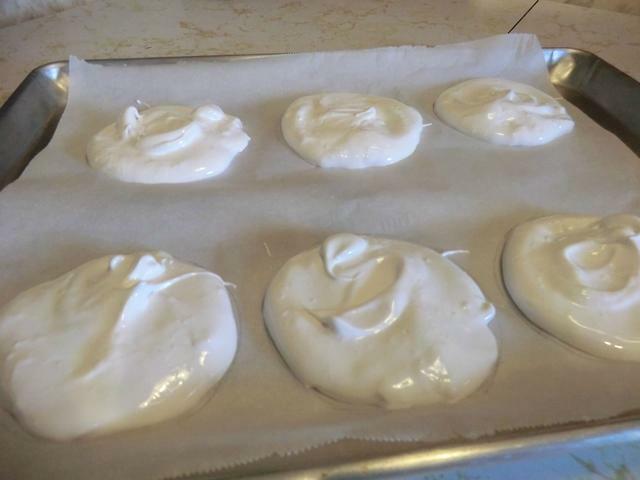 Bake until the meringue is firm to the touch but slightly soft in the middle, about 60 minutes. Remove from the oven, place the baking sheet on a wire rack, and let cool completely. Run a thin metal spatula under the meringue to loosen. Carefully slide it onto a serving platter or cake stand. 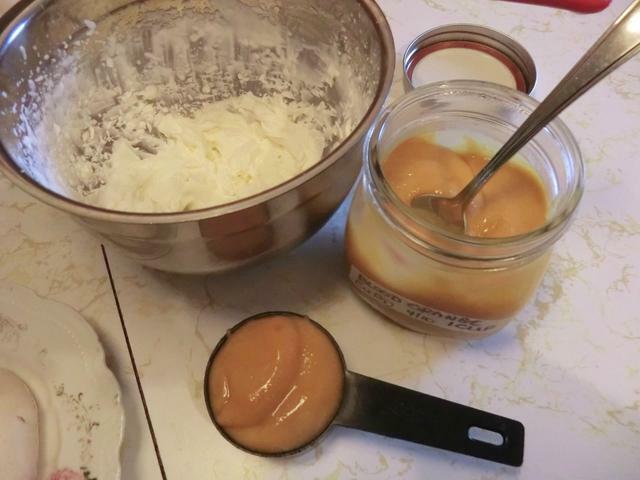 Set aside while beating the whipping cream. Place the cream, sugar, and vanilla in a clean, dry metal or glass bowl. Beat on medium-high speed until soft peaks form, about 1 1/2 to 2 minutes. Remove the bowl and, using a rubber spatula, fold the chilled blood orange curd into the whipped cream, leaving big streaks of curd and whipped cream. Pile the mixture into the center of the baked meringue and spread it to the edges. Top with the fresh berries and serve the pavlova immediately. Place in the oven and immediately turn the heat down to 300 degrees Fahrenheit. 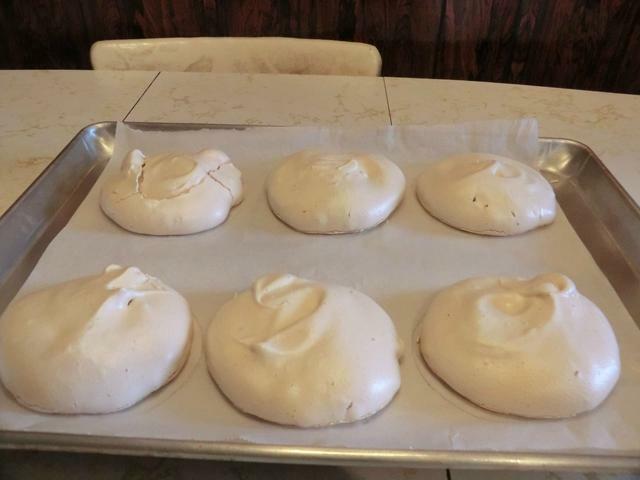 Bake for 30 minutes then turn the heat off and leave the meringues in the oven for another 30 minutes, in the turned off oven, to cool. Then cool the baking sheets on cooling racks until they come to room temperature. Assemble as for full sized pavlova. I had some of the cream and curd left over and poured it into a pretty glass … a great dessert all by itself. I’ve finally got the hang of my waffle iron. After a period of seasoning, the generous application of vegetable oil to the preheated iron before each batch … and a recipe that includes more butter/oil than a pancake recipe, I’ve finally managed a full batch. 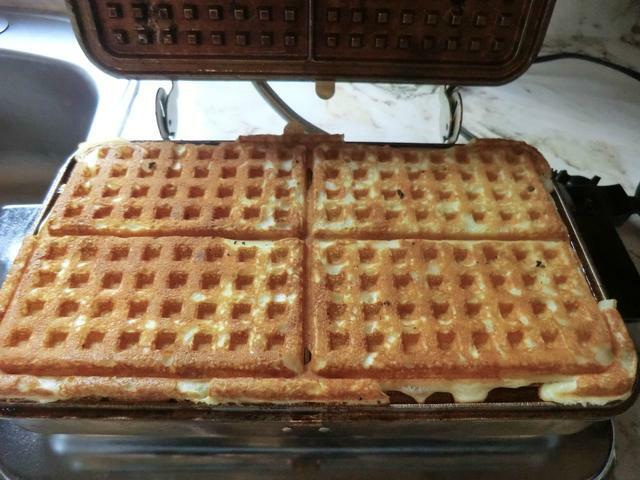 If I fill the grids with batter, I get 4 rectangular waffles, while if I add about 1/3 of a cup of batter to each side, I get 2 round-ish waffles … enough for one generous serving. In a second bowl, mix together melted butter and warmed milk. Add beaten eggs. Pour wet ingredients into dry and mix. 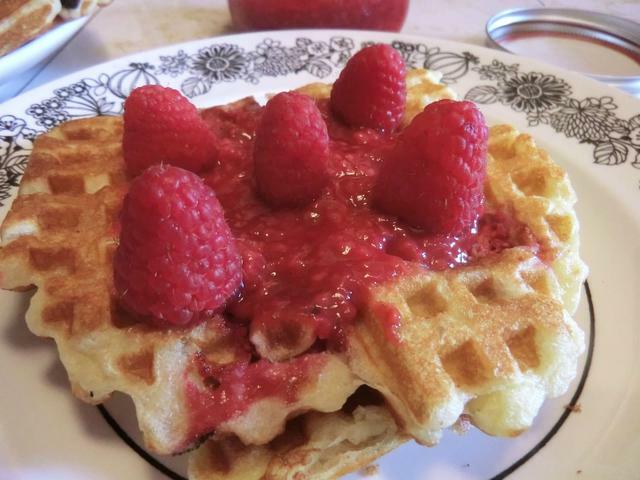 Fresh raspberries were added to the waffles in the center while the ones at the top right of the picture had chocolate chips sprinkled over the batter. The other waffles were left plain. Serve with butter, maple syrup, fruit sauce or however you prefer. 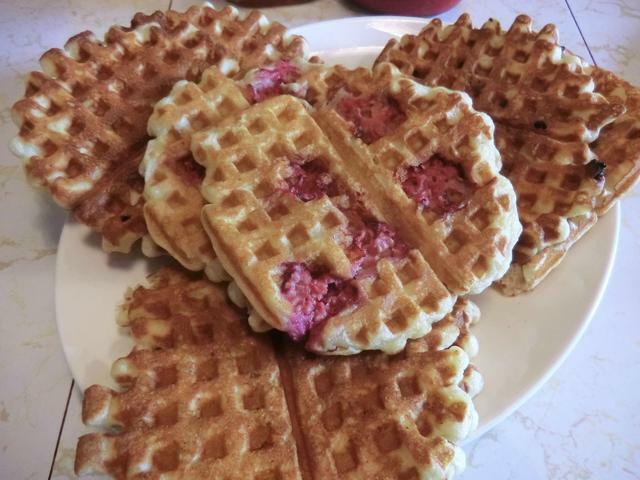 I wonder if I can do something savoury with some of the waffles. Do YOU have any ideas? You can make a curd using various fruits and berries, as long as you remember to still use 1/3-1/4 of the lemon juice in the basic lemon curd recipe. In the ‘sort of’ Meyer lemon curd I used a combination of lemon and orange juice, and equal amounts of zest, for a tasty substitute for REAL Meyer lemon juice using this principle. 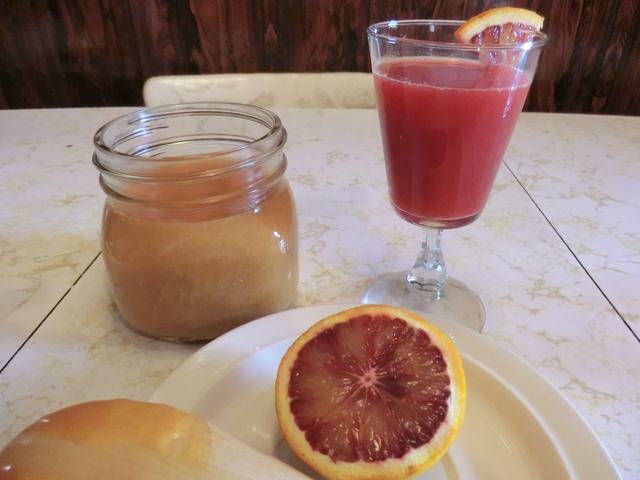 I used 2 tbsp of lemon juice and enough blood orange juice to make up 1/2 cup juice in total when making this blood orange curd. 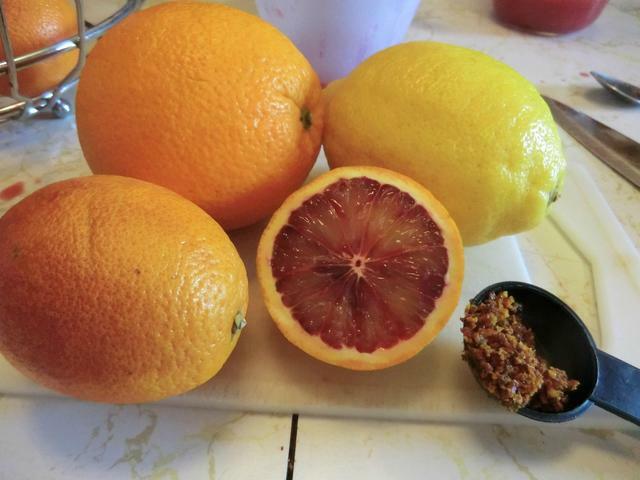 And 2 tbsp of blood orange zest. It tasted delicious, but, unfortunately, the resulting curd lost the vibrant red colour of the juice when mixed with the yolks and cooked. Is your cupboard a little bare? The paycheque not quite stretching to the end of the month? 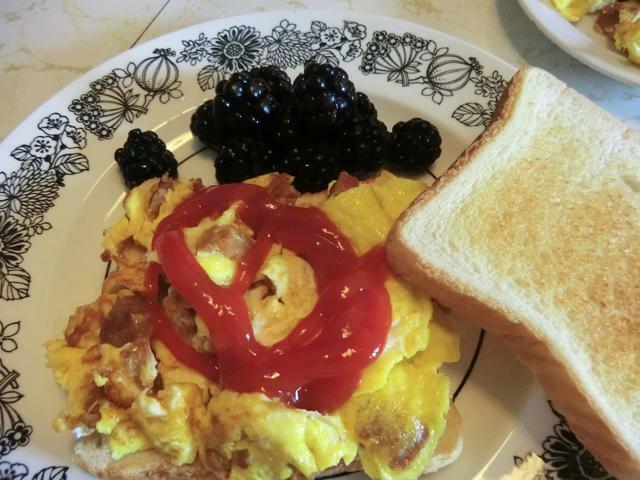 The egg is a great ingredient around which to plan a meal and the price can’t be beat.